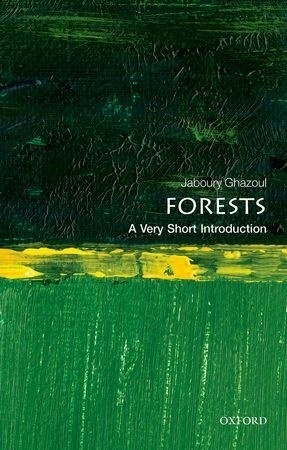 In this Very Short Introduction Jaboury Ghazoul explores our contrasting interactions with forests, as well as their origins, dynamics, and the range of goods and services they provide to human society. Ghazoul concludes with an examination of the recent history of deforestation, transitions to reforestation, and the future outlook for forests particularly in the context of expected climate change. In an era of continuing tropical deforestation and temperate forest resurgence, and in the midst of uncertainties of climate and land use changes, it is more important than ever to understand what forests are, how they contribute to our livelihoods, and how they underpin our cultural histories and futures. ABOUT THE SERIES: The Very Short Introductions series from Oxford University Press contains hundreds of titles in almost every subject area. These pocket-sized books are the perfect way to get ahead in a new subject quickly, the authors combining facts, analysis, perspective, new ideas, and enthusiasm to make interesting and challenging topics highly readable.